Flock of gray pigeons bathing on downpour and looking for food on rainstorm. Birds cleansing feathers in puddles during rainstorm. 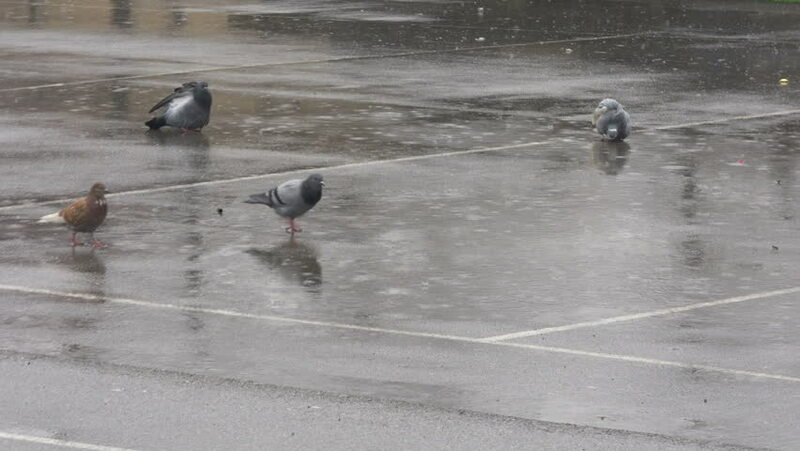 Flock of pigeons pecking crumbs on wet court Rainy day. hd00:10Shore of the stormy sea and flying above him gulls. Seagulls circling over the beach and water. The sea is rough and stormy. Summer, waves lapping on the sandy shore. Deserted and wild nature.